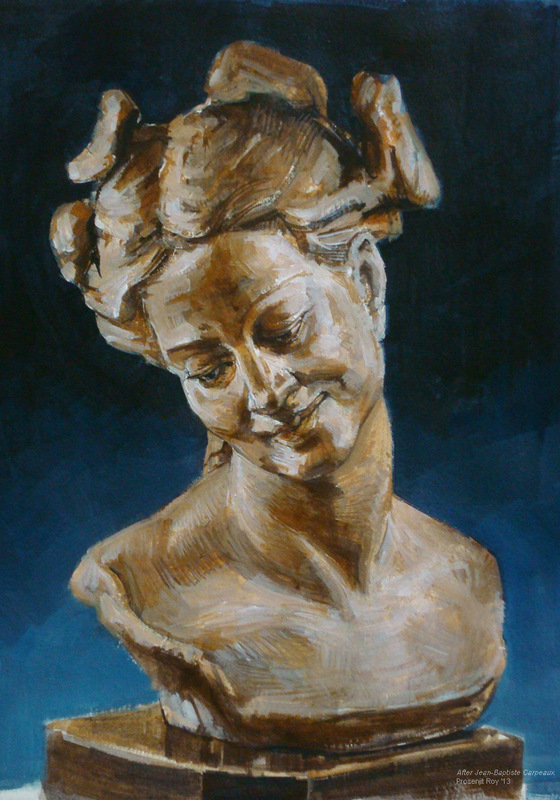 Studies of two busts by Bernini and Carpeaux, 11" x 13.5", acrylic on paper. 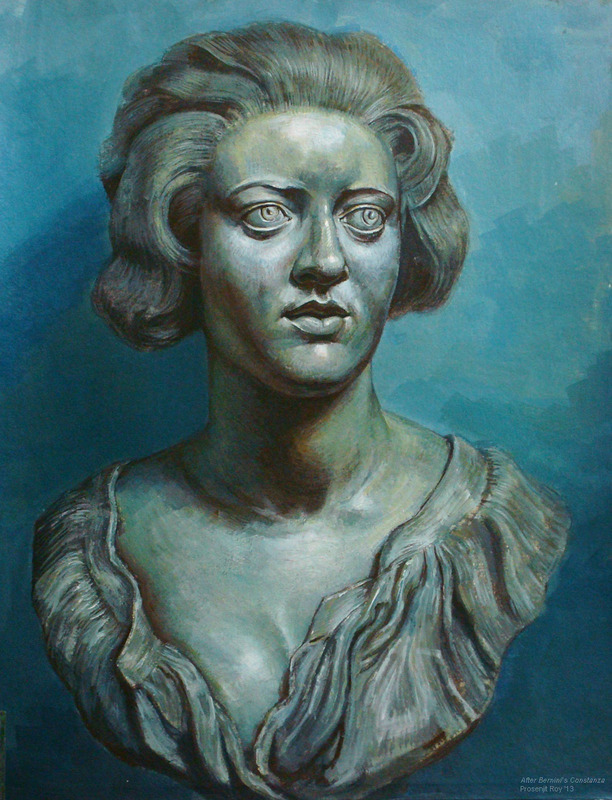 Constanza, by Gian Lorenzo Benini. Many thanks to the ref sources, whomever it may be.